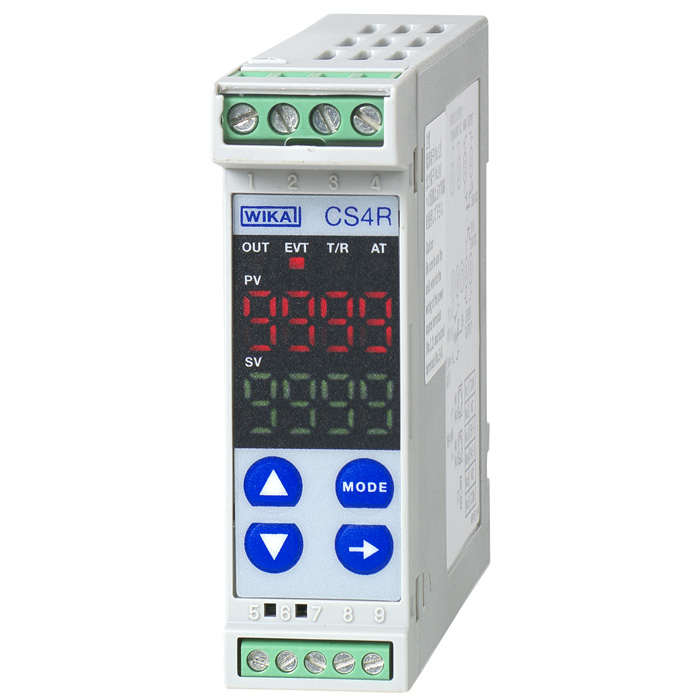 The model CS4R is a compact digital temperature controller for the display, control and monitoring of temperature. The controller features a multi-function input, meaning the configuration of the sensor input can be set. Thus the flexibility of the temperature controller is considerably increased, and warehousing is made easier. An alarm output for monitoring the actual value is also available as standard. The control parameters can be set across broad ranges. Auto-tuning, which facilitates finding the optimal controlparameters, can be activated. The temperature controllers are intended for DIN-rail mounting. 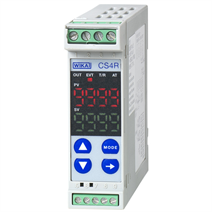 The control output can be set either as relay (for slow control), as logic level for the control of electronic solid-state relays (for fast control and high current loads) or as a continuous 4 ... 20 mA output. The versions with 4 ... 20 mA control output can be reconfigured by the user and operated as a transmitter with 4 ... 20 mA output signal. A heater burnout alarm for the heater current monitoring and a serial interface RS-485 are available optionally.